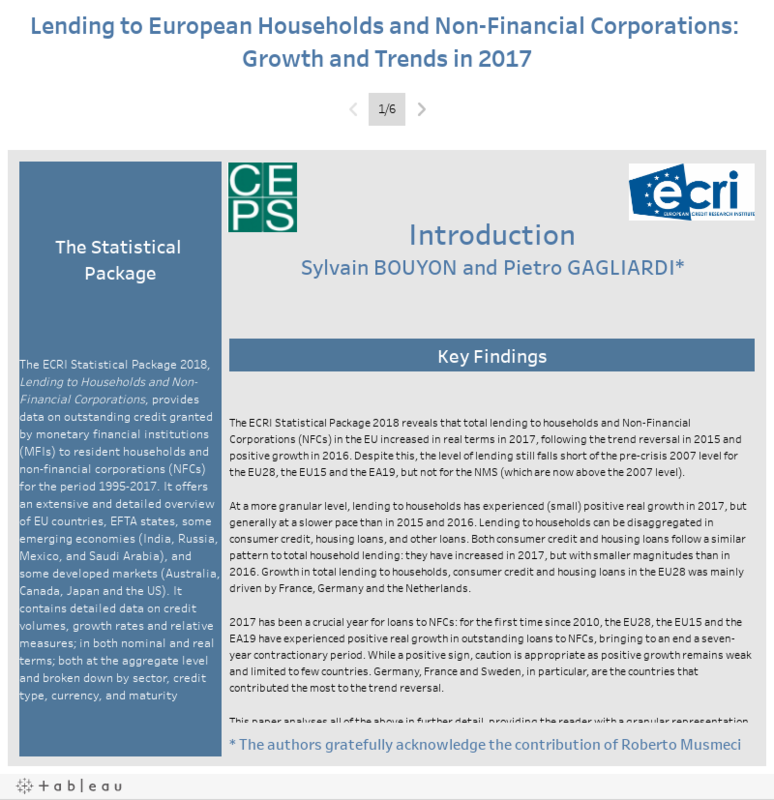 The ECRI Statistical Package on Lending to Households and Non-Financial Corporations in Europe is a comprehensive collection of data on lending to non-financial corporations and households. It includes consumer credit, housing and other loans, in Europe, covering 42 countries: the 28 EU member states, two EU candidate countries (Turkey and the Former Yugoslav Republic of Macedonia), the EFTA countries (Iceland, Liechtenstein, Norway and Switzerland), four additional key global economies (the United States, Australia, Canada and Japan) and four emerging economies (India, Russia, Mexico and Saudi Arabia). A more targetted ECRI Statistical Package on Consumer Credit in Europe can be found here. A detailed analysis of the 2017 trends in European credit markets can be found in the recent ECRI publication by Bouyon and Gagliardi, entitled "Key Findings of the ECRI Statistical Package 2018".